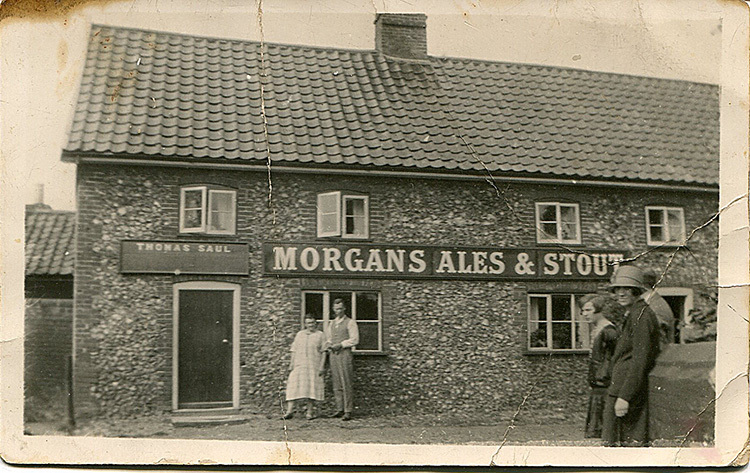 It appears there were as many as six public houses in Caston at one time but sadly not now. The Duke's Head closed in 1970 having been in the Saul family from 1925, kept first by Thomas, a victim of war injuries who received a full disability pension,and from his death in 1931 until her death in 1968 by his widow Mabel. Both the Duke's Head and the Black Horse, in Northacre, lasted over 125 years: the latter closed in June 1962. The Prince of Wales closed between 1914 and 1918 and The Bird-in-Hand closed in 1911. There was also a beerhouse at Northacre Corner (the junction of Northacre and Carbrook Road) about which very little is known. 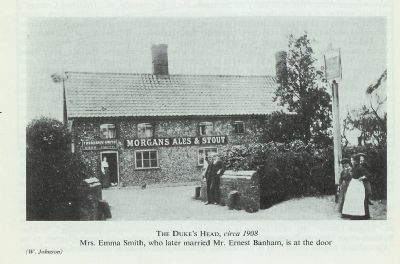 Beer was served to customers on the road through a hatch in the wall, and the premises became known as The Hole in the Wall. 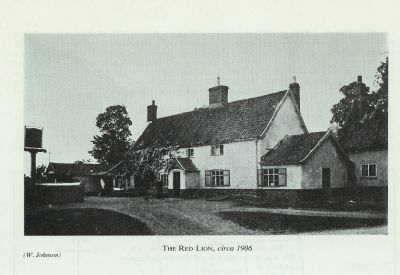 The Red Lion, the oldest of all the public houses and the traditional village inn, closed its doors in September 2007. It was put up for sale and although hopes were not high of finding a buyer, after some four years of falling into disrepair, a buyer was found and following extensive renovation the doors were re-opened, in November 2011. We have pictures of the Red Lion, The Duke's Head and The Black Horse but not of The Bird In Hand, The Prince of Wales nor the Hole in the Wall. If you have any additional pictures that we could publish, please click here to send them to the webmaster. The Red Lion was the only pub to have survived in Caston but despite closing its doors in Sept 2007, it re-opened in Nov 2012 and is currently doing well. The Duke's Head closed in 1970. Today it is a private residence. This image kindly sent in by John Daynes who says "This was printed as a postcard and on the back there is a message from Mabel (Saul) to my grandmother in Norwich, dated September 1927. It says that Mabel had arrived home safely 'after a good time' and that my father (then aged 14) had arrived safely (presumably from a visit to Tom and Mabel). Tom and Mabel Saul are the couple on the left of the photo. 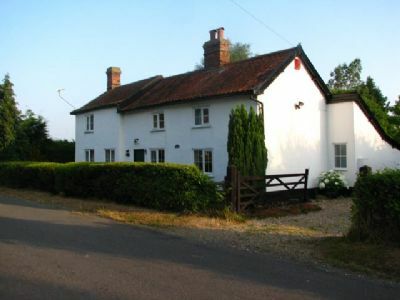 Situated in Northacre this is now also a private residence.